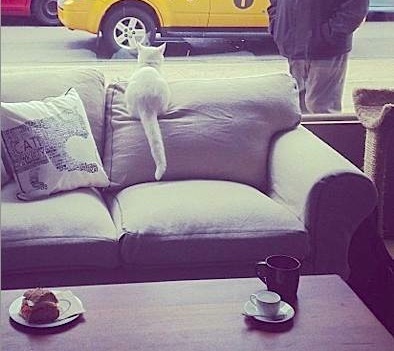 Cat Town Café – the nation’s first permanent cat café – is now open in downtown Oakland to serve coffee and promote feline adoptions. 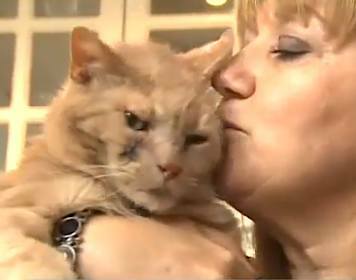 Cat Town began as a foster-based rescue organization in 2011. As shelter volunteers, they saw that some older or traumatized cats rarely made it into adoption and were even less likely to be taken by a rescue group, so they devised a plan. For a $10 donation to the organization, visitors get one hour of kitty company in the new cafe, where they can play with the felines beneath the colorful painted murals of cats. The Cat Town Cafe said there were 14 adoptions in their first 12 days.